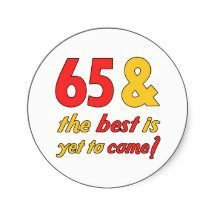 To celebrate 65 years in business we are throwing a party. We’re inviting past customers, current customers, future customers, friends, family, essentially the whole town, to celebrate with us because when there is something worth celebrating, we should. We’re giving away an iPod Touch, and we will have an artist, Dusty Elder, demonstrating his unique talent in artistic paper cutting. Festivities will include a ceremonial ribbon cutting at 4 p.m. with Holly Bills of the Oxford Chamber of Commerce, Joe Young, Oxford Village Manager, and Madonna VanFossen, Executive Director of the Oxford Downtown Development Authority. Serving and giving back to the community is important to us. This year we are donating $1 to Blessings in a Backpack for every new person they provide an insurance quote.